Since I have a significant history of injury, I thought it might be nice to share how I managed to get myself back together, healthy, and ready to run a 30K in case it helps anyone else who is struggling with injury. While I have been free of any true injuries this training cycle, I still had a few little things pop up here and there. Soreness in my left foot (where I thought I had a stress fracture), tightness/soreness in my left knee and some tightness in my right hip flexor. That said, it was all manageable and when I lined up for my 30K I was 100% pain/tightness/soreness/etc -free! Chiropractic Treatments: I couldn't have gotten healthy without my chiropractor. Initially I saw her because I wanted an ART treatment, but she did/does all sorts of things-- I don't even know what category they all fall in to. I see her on average every three weeks (it's been every two weeks getting close to the race) and she is a miracle worker. I have even walked in to her office with a specific tight/ouchy spot and walk out 100% pain-free. Really. So if you have access to a good one, find a chiropractor! If you are in Seattle and want the name of mine, let me know and I will give you her info. 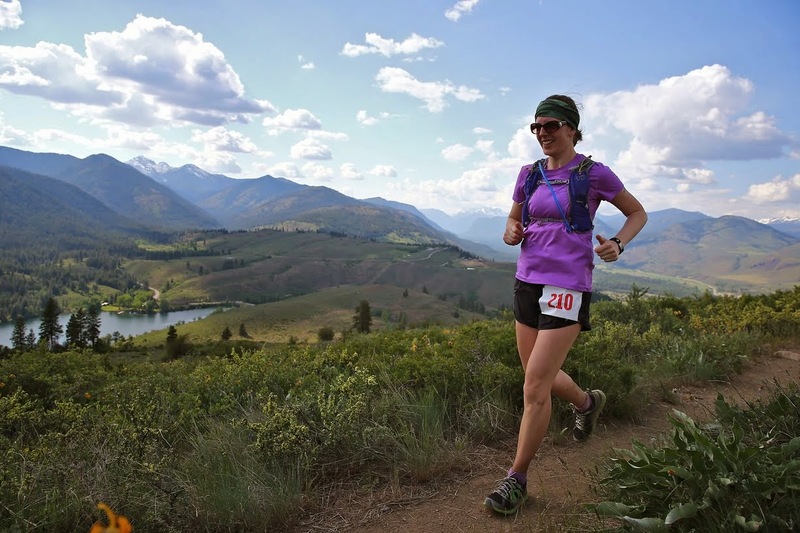 She treats a lot of runners, including ultra runners. Strength Training: Taking the time to strength train twice a week has been invaluable. Nothing fancy-- it's stuff I can do at home, like lunges, squats, push-ups, ab work. Using bosu and stability balls help bring an extra challenge to the workouts plus they help me work on my balance. I mix it up every workout to keep it interesting. Specific Strength Exercises and Stretches: There are a handful of exercises I do because they were specifically given to me by my PT and chiropractor. I do these 4-5 times a week. Things like "monster walks" with an exercise band around my ankles and "dead bugs" which is for my core. Yoga: Doing yoga at least once a week has been fantastic. It stretches me out, improves my balance and strength and helps me work on my breathing. Foam Rolling: I foam roll and break out my yoga tune up balls 4-5 times a week. Self-Massage: My calves and feet get dug in to several times a week. When my plantar fascia is getting tight I immediately work on my calves-- seems strange, right? But it works! My chiropractor taught me this trick and she was right. Running on Trails: For real, my body has responded really well to the trails. In the past several weeks I have run over 75% of my runs on the trails and I don't feel totally wrecked after my long runs. Also, have you entered to win my Spartan Race giveaway? One free entry to any Spartan Race in the continental United States! Go enter!